Make Your Home More Energy Efficient! The Texas sun is no joke, and our summers can be brutal. Solar screens are a great way to reduce the transfer of heat through the windows in your home. 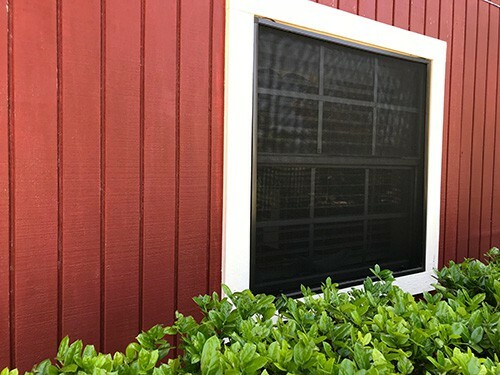 Our screens come in a variety of colors to match your home and are one of the most inexpensive ways to protect your home from heat and glare in the Texas sun. Solar screens are dark screens that can reduce the amount of sunlight that shines through you windows. They are most effective when mounted on east or west facing windows. Solar screens can help save on energy cost by blocking heat and sunlight and can save furniture near windows from fading.Another great benefit is the added privacy solar screens can add to your home. "A very honest and reliable company that truly cares about their customers and their work being performed." Solar screens have many benefits over traditional screens that can save you money and help regulate the temperature in your home.